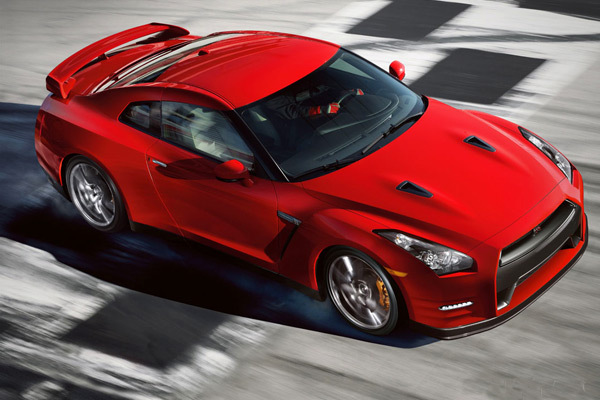 The June 2012 sales reports are in, and the Nissan GT-R is slow but steady. 104 total sold in June 2012 vs 99 in June 2011. Year to date is 583 cars vs 827 in 2011 with the new 2012 Nissan GT-R refresh was released. Once again Nissan had outstanding Altima sales with 21,812 sold up 11.7 % vs June 2011. The all electric LEAF sold 535 units down 68.7 % vs June 2011. 370Z was up with 720 cars sold vs 644 in June 2011. FRANKLIN, Tenn. - Nissan North America, Inc. (NNA) today reported June U.S. sales of 92,237 units versus 71,940 units a year earlier, up 28.2 percent. Nissan Division sales increased 24.6 percent for the month at 81,801 units. Sales of Infiniti vehicles were up 66.1 percent over the prior year, to 10,436 units. Nissan Division posted 81,801 sales, a June record and up 24.6 percent from last June's 65,659 units. Nissan Juke sales of 3,101 units represented an increase of 52.7 percent from the prior year, a June record. Nissan Rogue also achieved best-ever June sales, with 10,999 units marking a 46.8 percent increase over June 2011. Nissan Altima sales of 21,812 increased 11.7 percent from year-ago. All vehicles in Nissan's truck, SUV and crossover lineup posted sales increases, with trucks collectively posting a 38 percent rise in June from a year ago. "Nissan's sales increase of almost 25 percent in June was driven by double-digit gains for the majority of models across our lineup," said Al Castignetti, vice president and general manager, Nissan Division. "We expect our momentum to continue into July, the first full month of sales for our all-new 2013 Nissan Altima, which is our most innovative mid-size sedan ever." Infiniti today reported sales of 10,436 units for June, an increase of 66.1 percent from 6,281 units a year earlier. Sales of the Infiniti G Sedan for the month were up 48.5 percent to 3,923 units, which was the best in June since 2007. Infiniti M Line sales of 815 represented a 24.8 percent increase, while the Infiniti QX full-size luxury SUV was up 24.4 percent to 1,044 units, its best performance in five years. The all-new Infiniti JX 7-passenger luxury crossover, introduced this March, continued its strong launch with 2,428 sold in June. Overall, this was Infiniti's best June sales performance since 2007. NOTE: To ensure consistency in global sales reporting, Nissan North America calculates monthly variances on a straight-percentage basis, unadjusted for the number of selling days. June 2012 had 27 selling days, while June 2011 had 26 selling days. In North America, Nissan's operations include automotive styling, engineering, consumer and corporate financing, sales and marketing, distribution and manufacturing. Nissan is dedicated to improving the environment under the Nissan Green Program and has been recognized as an ENERGY STAR® Partner of the Year in 2010, 2011, and 2012 by the U.S Environmental Protection Agency. More information on Nissan in North America and the complete line of Nissan and Infiniti vehicles can be found online at www.NissanUSA.com and www.InfinitiUSA.com. Nissan Motor Co., Ltd., Japan's second largest Japanese automotive company by volume, is headquartered in Yokohama, Japan and is an integral pillar of the Renault-Nissan Alliance. Operating with more than 248,000 employees globally, Nissan provided customers with more than 4.6 million vehicles in 2011. With a strong commitment to developing exciting and innovative products for all, Nissan delivers a comprehensive range of fuel-efficient and low-emissions vehicles under the Nissan and Infiniti brands. A pioneer in zero emission mobility, Nissan made history with the introduction of the Nissan LEAF, the first affordable, mass-market, pure-electric vehicle and winner of numerous international accolades including the prestigious 2011 European Car of the Year award.